Paperkraft products represent a deep-rooted commitment to the environment. Our products are aesthetically designed with a positive environmental footprint. The paper is made in the country's greenest paper mills using Ozone treated Elemental Chlorine Free (ECF) technology. 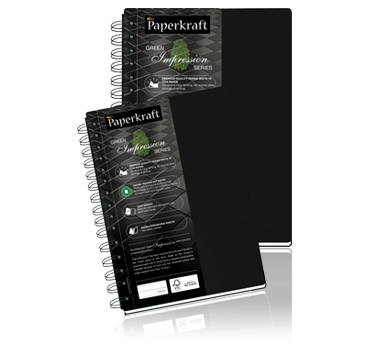 Paperkraft Signature notebooks use Perma White ultra-premium paper, which has 100 years of shelf life! Waiting for you to pen ideas that too will stand the test of time! 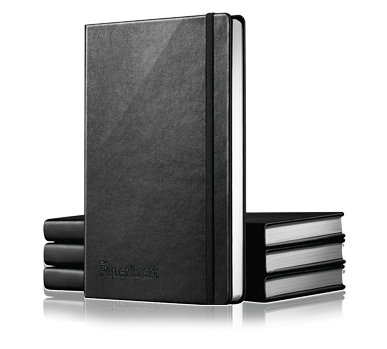 Made using Eco-friendly 80 GSM Perma - White, paper from responsible sources, the Superior PU quality cover gives you an experience that you will never forget. Paperkraft Signature notebooks make a statement even without writing a word! These notebooks come in vibrant cover-page combinations that are bound to hold anyone's attention. 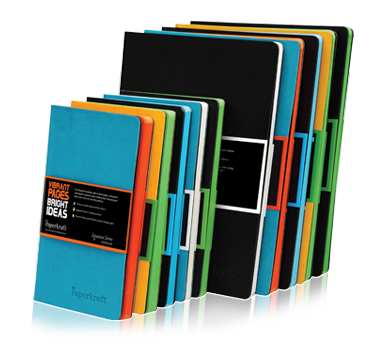 With vibrantly coloured PU covers and 80 GSM no-show-through papers, the Signature Colour series is a remarkable product for the professional inside you. Presenting the Green Impression range of eco-friendly notebooks with paper sourced from responsible sources. The elegant styling and ergonomic design make for great professional appeal. 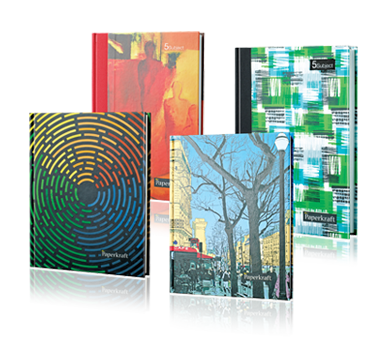 Extremely durable, the Green Impression series sets the benchmark for professional notebooks. The Ozone-treated Elemental-chlorine-free (ECF) paper ensures Paperkraft's strong commitment towards the environment. Art and aesthetics transform the mundane. The Expression Series draws on patterns, signs and symbols to give the notebooks a style that is contemporary, fresh and trendy. The Ozone-treated Elemental-chlorine-free (ECF) paper is a testament to Paperkraft's environment-friendly outlook. 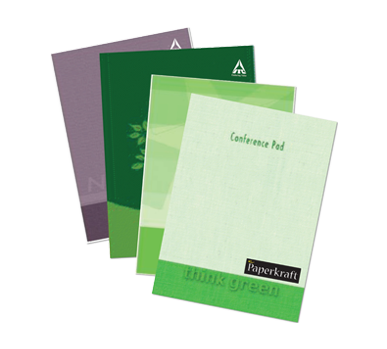 Paperkraft Notepads are made from the finest quality paper to exacting professional standards. Whiter and brighter than ordinary notepads, they provide a superior writing experience. © 2018 ITC Limited - All Rights Reserved.